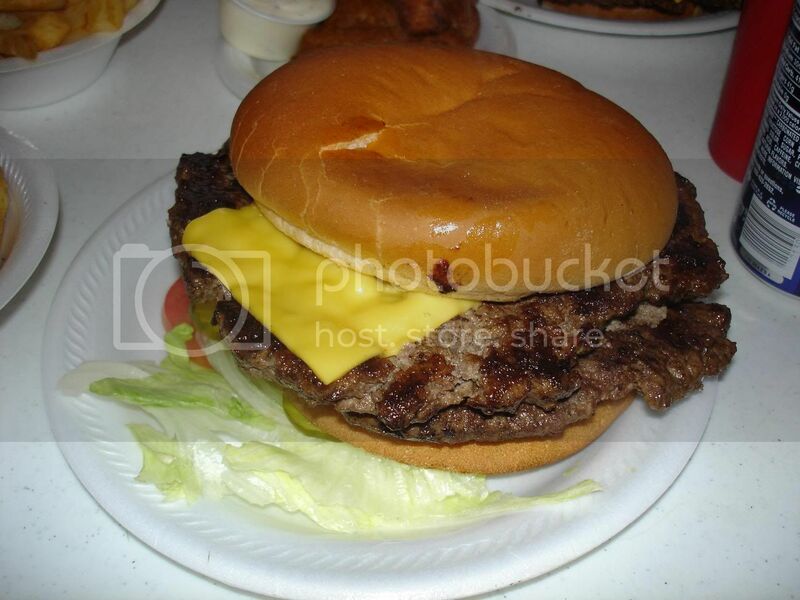 Much like Christian's Totem in Houston, Kincaids in Fort Worth and Tookies in Seabrook... Arnold Burger was one of the first burger joints that surfaced when I started asking readers to send in their favorite burger joints for me to review. I responded to the review request telling the reader that it was unlikely I would ever make it all the way out to Amarillo. Well... lo and behold... I found myself in Amarillo and with an empty stomach. Good thing it was an empty stomach because Arnold Burger serves up some of the biggest burgers I have ever laid eyes on. 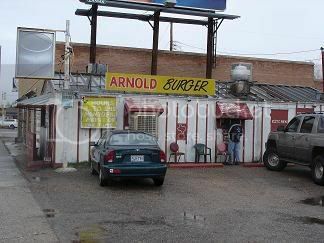 It's been a long time in the making but here is in my long overdue review of Arnold Burger in the beef capital of the world... Amarillo. For me, one of the biggest events in doing these reviews is actually arriving at the burger joint. When I pull into the parking lot and see a building way way way past due for a renovation - I get really excited. Especially when the parking lot for the building is full of cars. Such was the case when I pulled into the parking lot at Arnolds. 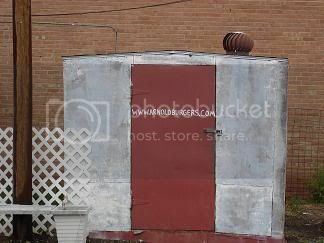 Arnold's building is simple and functional. No bells and whistles... just the way I like it. I didn't see Oprah's limo anywhere but I did see plenty of locals... among them a very popular Amarillo weather man. I heeded the advice of this weather man and the owner of Arnolds and ordered up a cheeseburger. I fully expected the burger to be your run of the mill small cheeseburger. Boy was I wrong?!?! This thing was HUGE! It immediately earned a Herd Killer rating of 10. Although the burger was huge - I did feel the burger could have used a little more seasoning. With that much meat - you have to load it up with seasoning otherwise the flavor is lost in all that beef. It was big - but just not as much flavor as I hoped. Two things the Arnold's Cheeseburger did well was Oooze and Herd Killer. The owner figured out who I was before my burger was made so I think she knew I would be looking for Oooze and Herd Killer. SHE DELIVERED! This thing was ooozing all over the place. Its too bad that the oooze was probably carrying away the seasoning because the flavor was just not there in this monster of a burger. 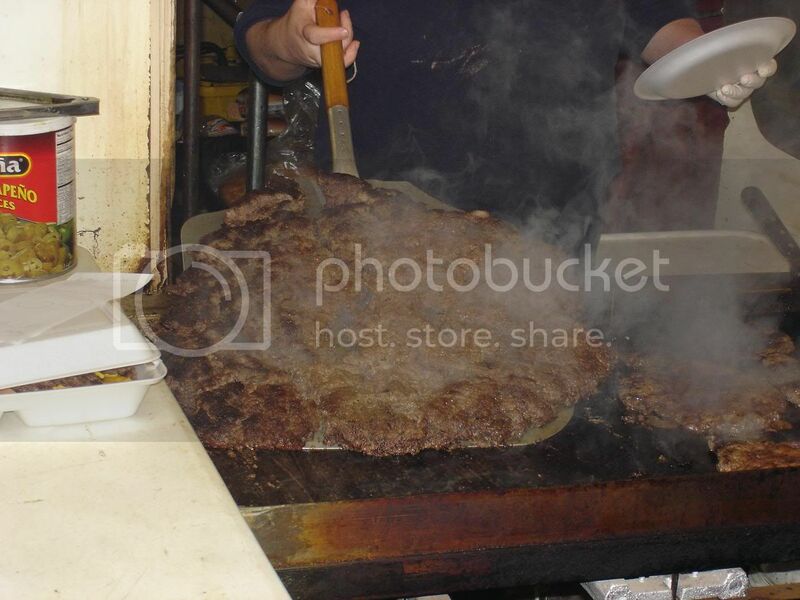 Between the Oooze flowing all over the place and the sheer size of the burger, I had a hard time handling this thing. Its a monster that requires the help of a friend to shove it into your face. 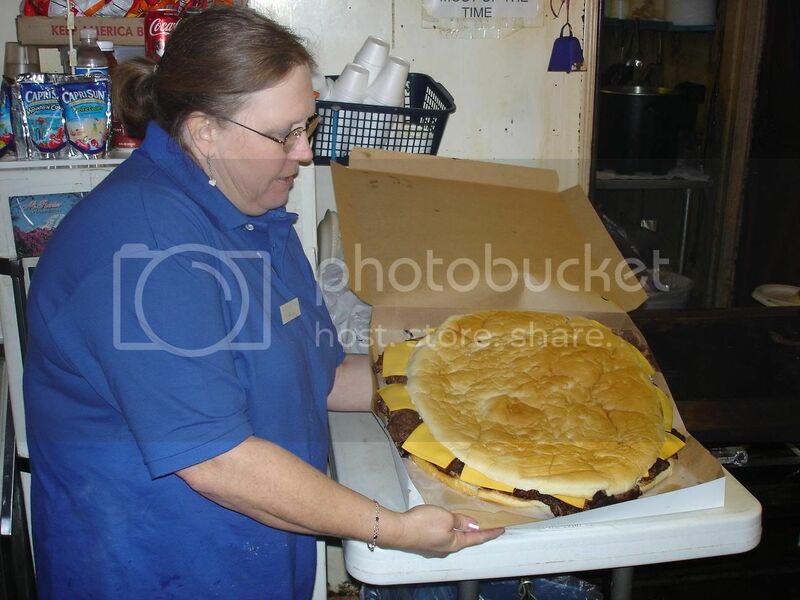 I paid 3.37 for the cheeseburger. That's an absolute steal. Yet another category that this burger nailed. It seems like everytime I go to Amarillo, I leave there fearing for my heart. Arnold's continued the tradition of putting the fear of the Almighty in me. Despite this burger nailing almost all of my categories, my overall rating is going to be a little lower than usual. Reason being the flavor just wasn't there. I haven't encountered this before with other big burgers. I think Arnold's could add some spices to their burgers and nail it. Between my two brothers and I - we ordered quite a few items from the menu. I didn't get a picture of their burgers before they sunk their mouths into them otherwise they would be pictured as well. We did order fries, onion rings and cheesesticks as appetizers. Little did we know that appetizers were not needed because of the huge burgers that were our main course. You just gotta love a place like Arnolds. 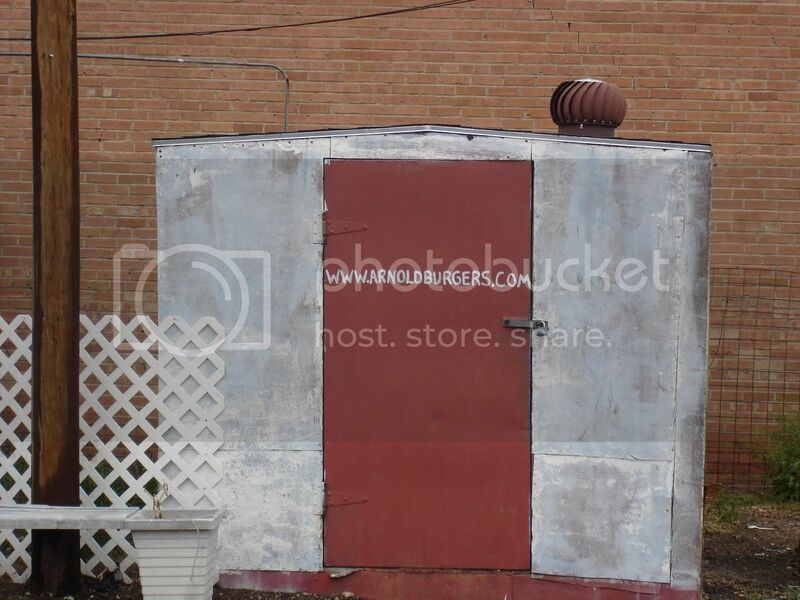 It has character and pizazz.. just the way I like it. The food was good. The burger needed more flavor. Everything was reasonably priced. The staff was fantastic. The owner took my picture and its not on Arnolds website... http://www.arnoldburger.com/. Arnold's may make itself to the top of my favorite burger joints in Texas. It has the atmosphere complete with a rather simple building, extremely polite owner and a very unique menu. I absolutely loved the atmosphere and everything about Arnolds. The burger had its issues but overall - I loved Arnolds and would love to go back again. Exit 69-B off Interstate 40. Overall, I really enjoyed Arnold Burger. It was well worth the trip. Great big huge burgers. Oooze capital of Texas. 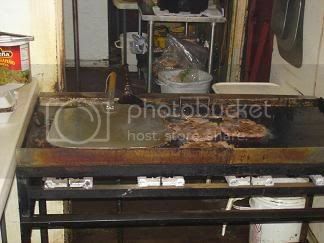 Good thing Amarillo is the beef capital... Arnolds may be putting a strain on the beef supply with the burgers they are putting out there. Disappointed in the flavor of the burger... other than that - really enjoyed it. I just went to the new Pappa's burger place in Fort Worth. Hold on to your wallet and I still prefer Kinkaids. 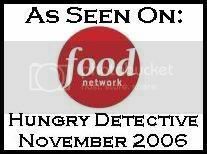 TBG....great to see you back in the 'bidness of writing about our favorite food. As usual, excellent review of Arnolds. The burger looks great and so does the joint. Kudo's to both you and Arnold's!! 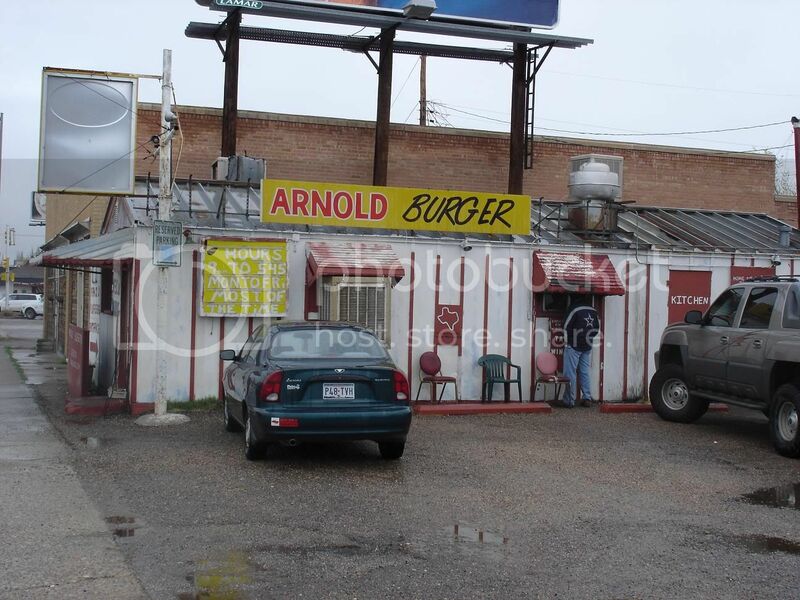 i have ate at arnolds for 25 years it is the best buger in tx. My husband is coming home for R&R, he is stationed in Iraq. He asked me to look up the directions to get to Arnolds Burger. 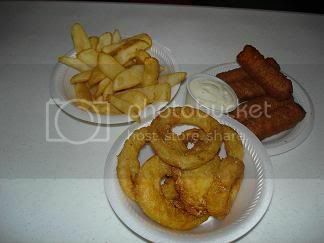 We heard about Arnolds from Guys program. Look forward to eating there and having him home for a couple of weeks. We have never been to Amarillo. See you all in March.